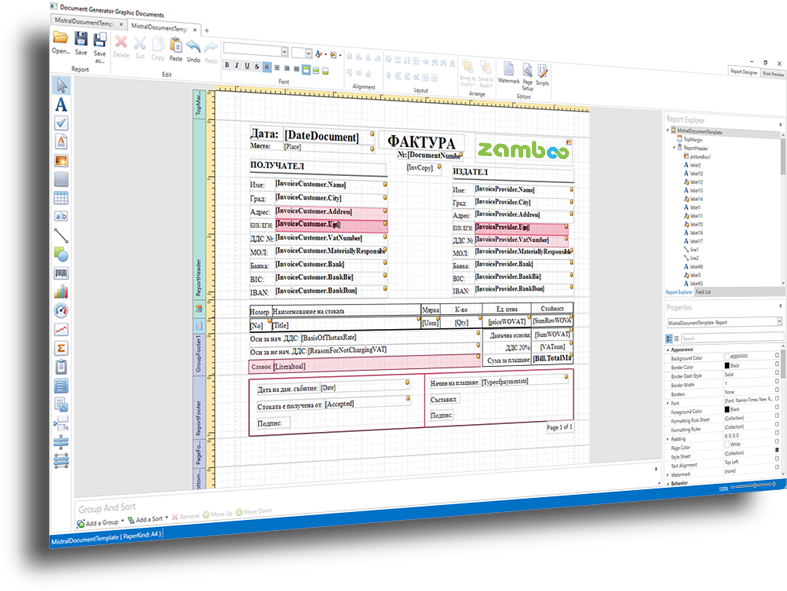 Zamboo documents are template-based and are created with user-friendly tools. 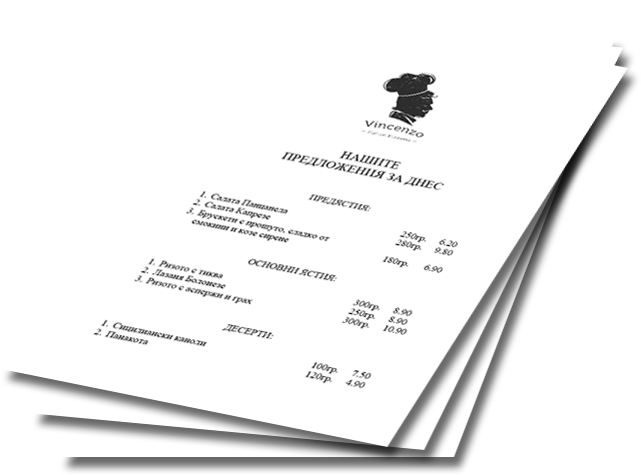 Change the style and functionality of the included documents or create new ones altogether. 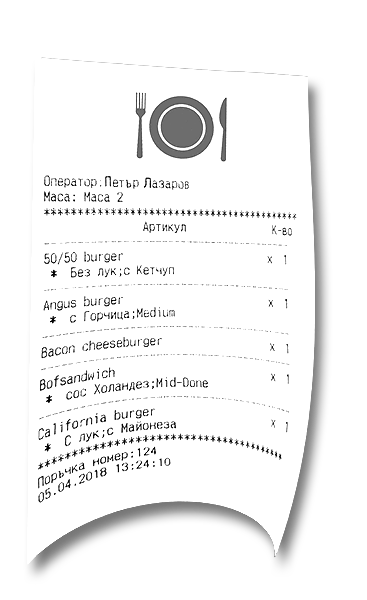 Save time and print your daily menu effortlessly, using a previously created layout. 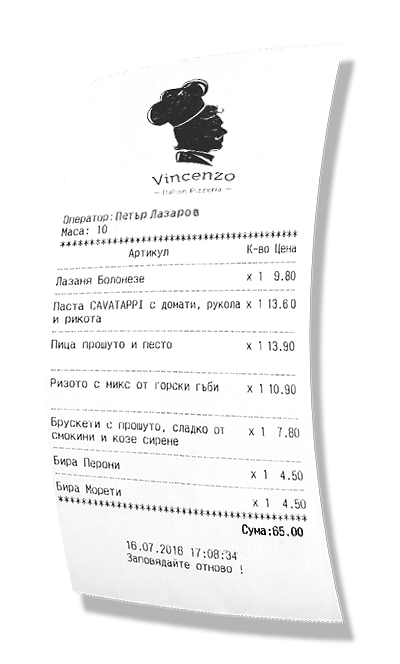 Impress your customers with attractive and unique design of all documents from the menu to the final bill.